For this hop we will be featuring the letter S. This may be the name of a paper, a stamp set or an embellishment. Whatever the crafter has chosen as their S element will be featured in their post. 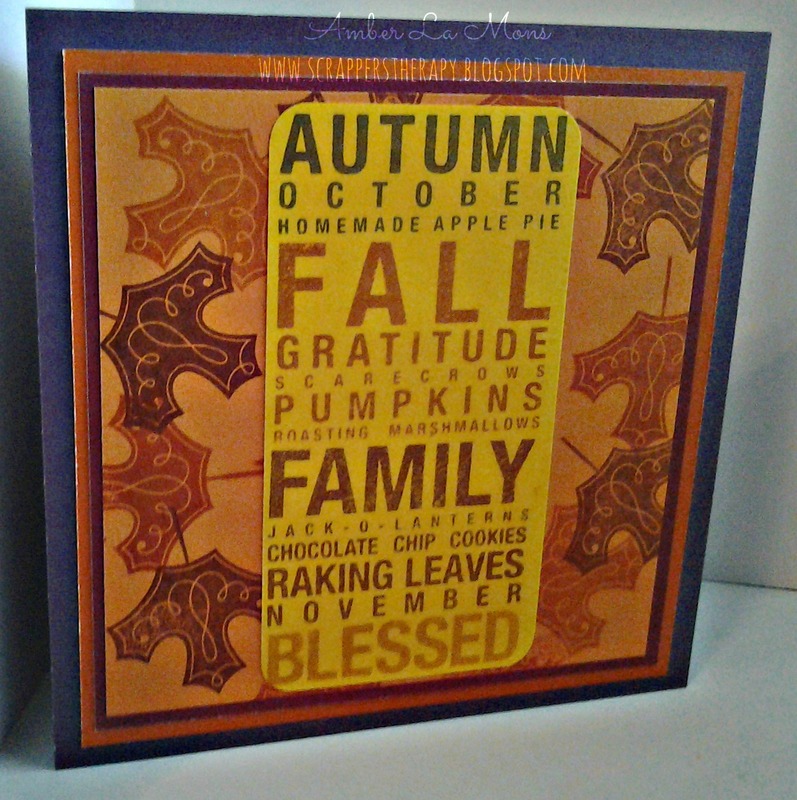 For my project I chose to feature the Laughing Lola paper pack in this Sentimental card. My daughter turned 13 this week and I needed something cute and trendy. Well, this paper pack and its accessories fit the bill perfectly. 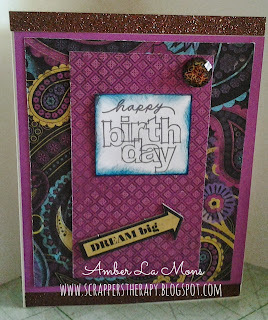 Your next stop on our Everything ABC'S Blog Hop is Catherine of Cat Scrapbooking. Welcome to our September Stamp of the Month Blog Hop! 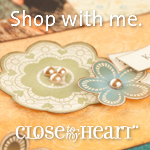 This month's stamp from Close to My Heart is "Poster Tidings" and is available exclusively through your Close to My Heart consultant from September 1 - 30, 2013. This month, you can receive this stamp set for $5 with a qualifying purchase. If you don't already have a Consultant that you are currently working with, please contact one of the Consultants in our hop with any questions you have! If you have just hopped onto my blog, please start at the beginning at Darla's blog – Crafting is Contagious . If you came from then you are in the rightplace! I absolutely LOVE this stamp set! 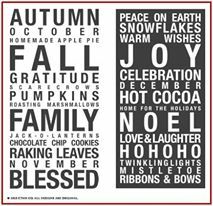 I love the subway word art trend that is all over the place and the best part about this stamp set is that it includes a Fall and a Winter themed stamp! With the beginning of September all things pumpkin have returned and I am loving it although my waistline is not, lol! I now live in Louisiana and so we do not have the traditional Fall season but I remember them from one point in time. After playing with this stamp set, I am now ready to break out the pumpkin pie and lattes everyday from here until December! I originally was going to make a traditional size card, 4 1/4x 5 1/2, but due to the size of the stamp I opted for a 6x6 card base. The other layered papers are cut at 5 1/2x5 1/2, 5 1/4x 5 1/4, 5x5 and 2 1/2x 4 3/4 respectively. I used Smokey Plum for the base, the layered colors are Autumn Terracotta, Barn Red, Goldrush and Honey. The inks were stamped in the same order with the exception of Honey ink, which was not used. I simply masked off each section as I went. That is the beauty of our stamps, since they are clear you can see exactly what you are doing! I also used the maple leaf from A Wonderful Season D1498, to do some random stamping on the Goldrush layer because it looked to plain otherwise. 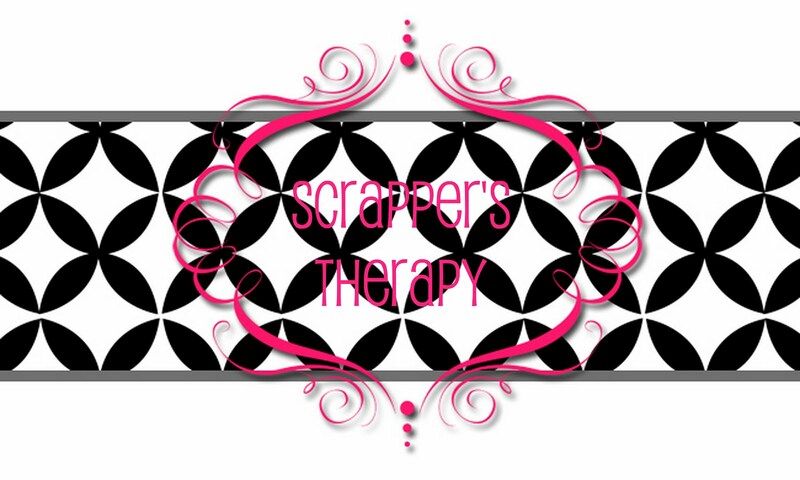 All products used were from Close to my Heart and can be found on my website at www.scrapperstherapy.com Also visit my fan page on Facebook for more artwork and the current specials at www.facebook.com/scrapperstherapy. 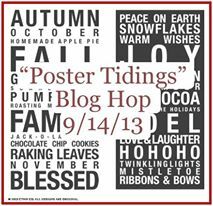 Your next stop on our "Poster Tidings" hop is Rebecca of Show Me Scrapping.